Core cancer foundation has been working in the field of anti- tobacco awareness for the last 12 years. It has been conducting workshops in schools and associating with them to spread the message. 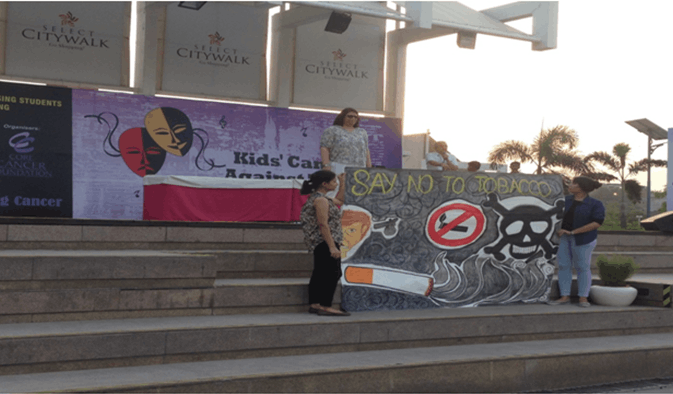 There were 2 theatre groups presented street plays on tobacco awareness. Also, during the event they had fun and games for children related to tobacco to increase their level of awareness.